LEEA's TEAM Card Refresher program is open to TEAM Card holders whose cards have already expired or are expiring soon. 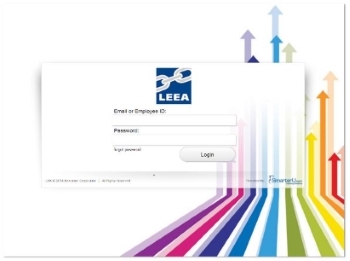 To renew your TEAM card, you will be invited to complete a short online training session for each LEEA Advanced Programme certificate you hold. When you have competed all refresher sessions for Advanced Programmes listed on your card, we will automatically send you a new card, which will be valid for a further 3-years. There is no pass/fail or exam for these courses – you simply need to complete them. Each course takes no more than 2-hours and all you need is access to a computer or tablet that has an internet connection. You won’t need any additional software – just your internet browser! We have designed the courses to provide valuable new learning, as well as refreshing and checking underpinning knowledge from the current syllabus. At the end of each refresher course you will be able to download and print a completion certificate for your records, which can be added to your CPD portfolio. There is an administrative charge of £25 (+VAT) per card, which includes access to the online refresher training. 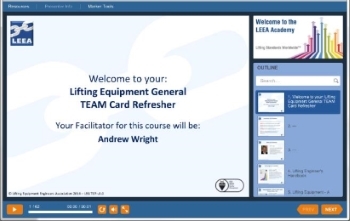 If you have not received your invitation to complete the refresher courses for the LEEA Advanced Programmes you hold then please speak to your Company’s LEEA Contact – we require their authorisation to renew your card before we can send out your personal training invitations. Please note that the exemption route to a TEAM Card has been withdrawn. All TEAM Card categories issued by exemption will expire on the expiry date of your current TEAM Card and will not be reinstated. 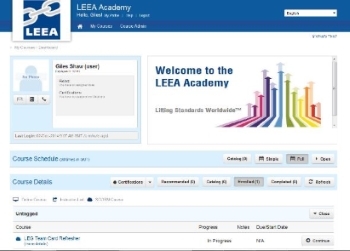 To receive the respective qualification and have the categories added to your TEAM Card, you will need to achieve the appropriate LEEA Advanced Programme. This can be attained through study on our new Academy e-Learning platform or by instructor-led training sessions held at our Huntingdon Training Centre. LEEA also provide on-site training at our members premises, globally.